Naas Racecourse is situated on the outskirts of Naas, the county town of Co. Kildare, in the Mid-East Region of Ireland, less than half a mile east of the town centre and approximately 23 miles southwest of Dublin. Still known, rather unfairly, as the “Punters’ Graveyard” – a myth no doubt perpetuated by the proximity of a cemetery to the home straight – Naas stages 15 Flat and National Hunt fixtures throughout the year. The highlight of the National Hunt calendar at Naas is the Slaney Novice Hurdle, run over 2 miles 4 furlongs in January. The race was upgraded to Grade One status in 2015, since when it has been sponsored by Lawlor’s Hotel, but had previously been won by subsequent Cheltenham Festival winners, Gold Cygent and Mikael d’Haguenet, not to mention 2016 Grand National winner Rule The World. The 2019 winner, Batteloverdoyen, is currently a top-priced 5/1 second favourite for the Ballymore Properties’ Novice Hurdle, the same race won by Mikael d’Haguenet in 2009. On the Flat, the Group Three Blue Wind Stakes, run over 1 mile 2 furlongs and open to fillies and mares aged three years and upwards, is the seasonal highlight. Occasionally, the Blue Wind Stakes serves as a trial for the Oaks at Epsom the following month and in the past has been won by the likes of Banimpire and Pleascach, both trained by Jim Bolger and ridden by Kevin Manning, who won the Ribblesdale Stakes at Royal Ascot and Irish 1,000 Guineas and Yorkshire Oaks, respectively. 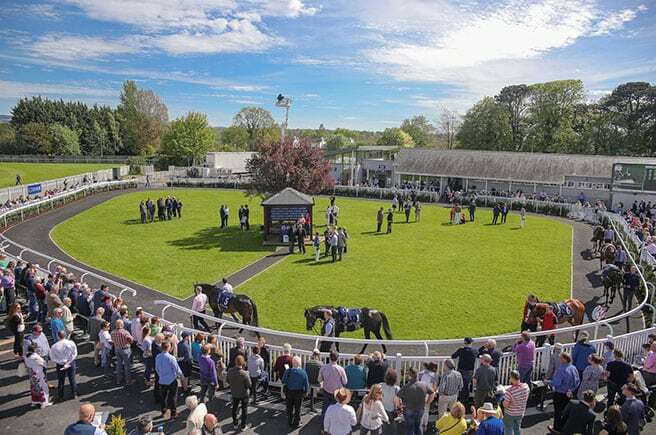 The steeplechase course at Naas is a left-handed oval, approximately a mile and a half in circumference, with eight, fairly stiff fences to a circuit and a run-in of just over a furlong. Despite its dubious nickname, Naas is a wide, galloping track, with a stiff, uphill finish, which suits long-striding, staying types, but is nonetheless renowned for its fairness to all types of horse. The home straight, which features two plain fences, is over half a mile long but, despite the stiff finish, horses held up off the pace may still find it difficult to make up the required ground on the leaders. On the Flat, a chute at the top of the home straight allows sprint races, over five or six furlongs, to be run on a straight course which, in recent years, has been levelled in the first three furlongs or so to create a more even surface. Races over seven furlongs and a mile also start on a chute, this time at the top of the home straight, and a run around a left-hand bend. Even so, the draw plays little part in such races, except on soft ground, when jockeys tend to make a beeline for the stands’ side rail in the home straight, so a high draw is advantageous.